Should we be rushing back into space? 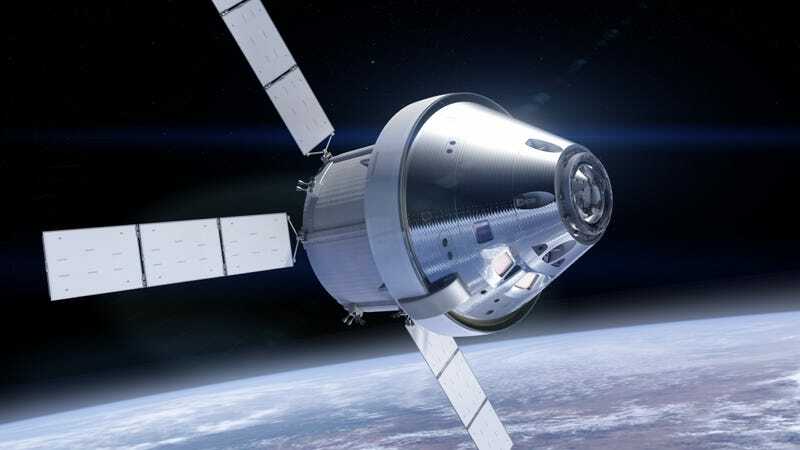 Perhaps in an effort to emulate John F. Kennedy, and to have something to crow about during what he hopes is just his first term, President Donald Trump is pushing NASA to accelerate the Space Launch System (SLS) program to include astronauts on Orion’s first launch. NASA had originally planned for the first launch, Exploration Mission 1 (EM-1), scheduled for late 2018, to be an unmanned mission that would orbit the Moon and return. They planned to follow that with EM-2 several years later, after Trump’s first year in office, during the first term of his successor, should he not be re-elected. Bowing to the pressure from the White House, acting NASA Administrator Robert Lightfoot sent a letter to NASA employees, instructing them to investigate the feasibility of including astronauts on EM-1. Let’s not forget what happened the last time NASA succumbed to pressure to launch. Seven astronauts died. I have a tremendous amount of respect for NASA and, over the course of the entire manned space program from Mercury to the Space Shuttle, they have completed hundreds of launches with what could be considered an astonishingly small loss of life for such dangerous endeavors and the numbers of astronauts launched into space. I just hope that, under pressure from a president who only seeks a feather in his cap, NASA doesn’t make a decision that could put astronauts’ lives in danger. Good morning! As I’ve discussed before, we continue working closely with the transition team. The members of the team are excited to be a part of this great agency and everyone is committed to keeping you informed of developments. I know you’ve been reading a lot in the media and hearing from colleagues about what may or may not be our future direction. I want you to know that when those decisions are made, you’ll hear it from me. I shared that we’ve already hit a lot of milestones, and the next ones are on the close horizon. It’s a testament to your hard work that we were able to say that last year, and we’re confidently able to say it again this year.